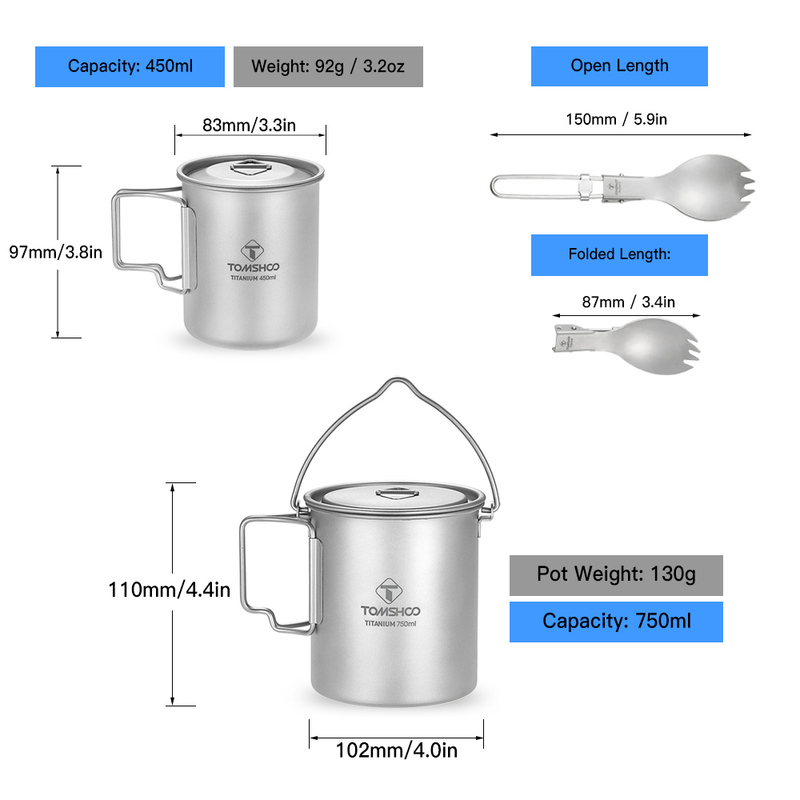 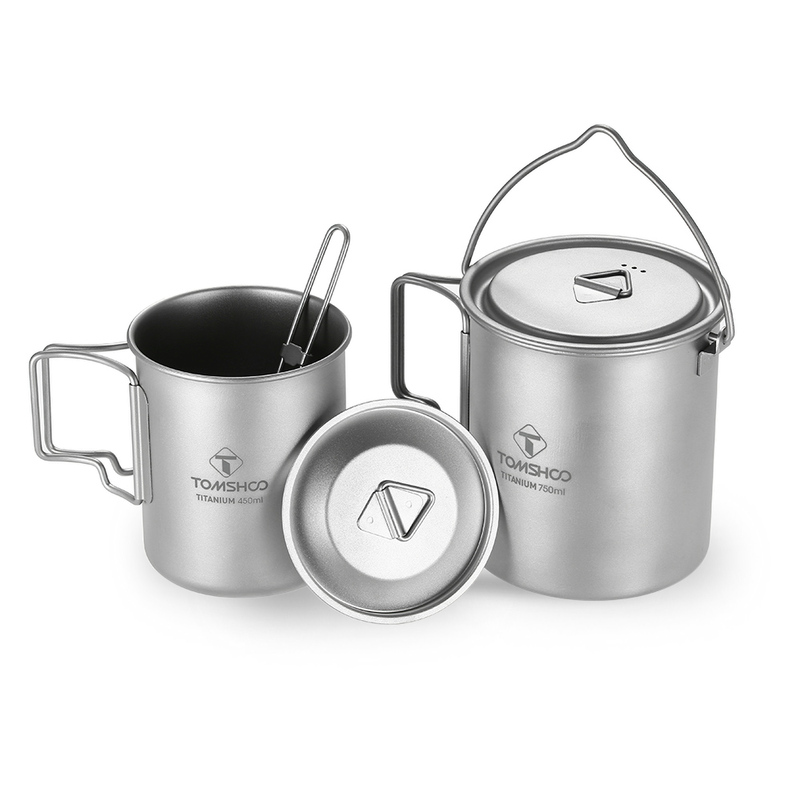 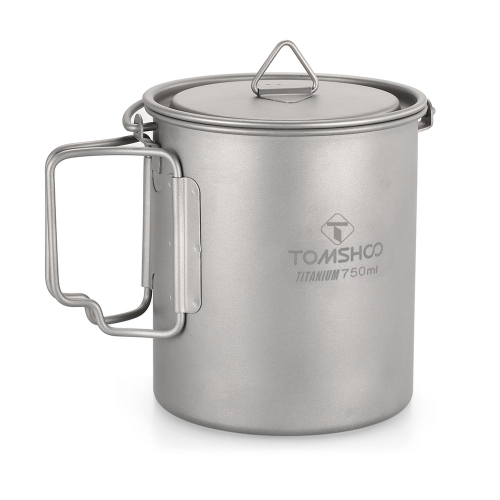 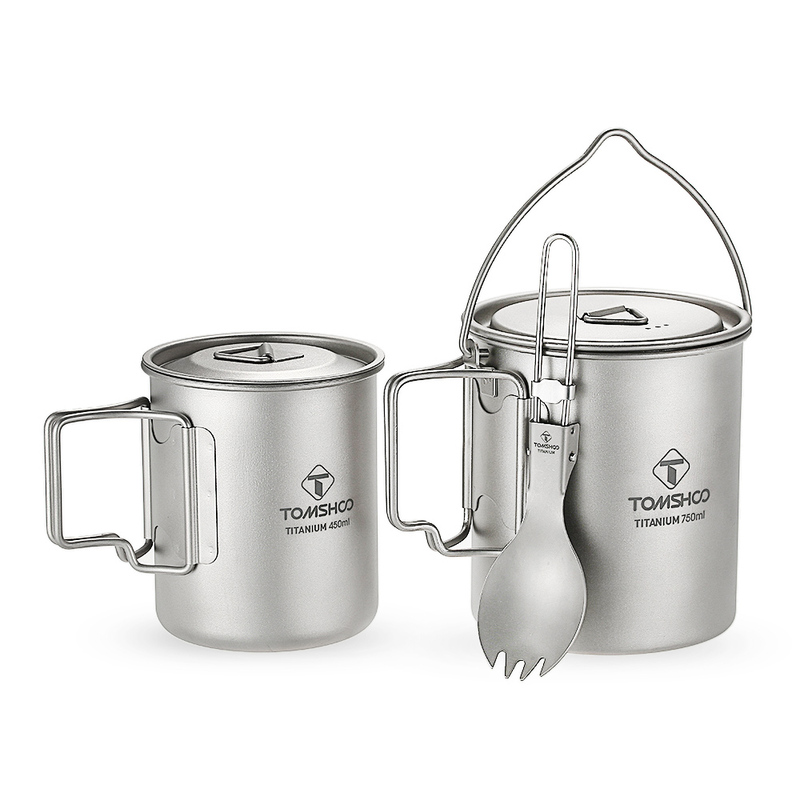 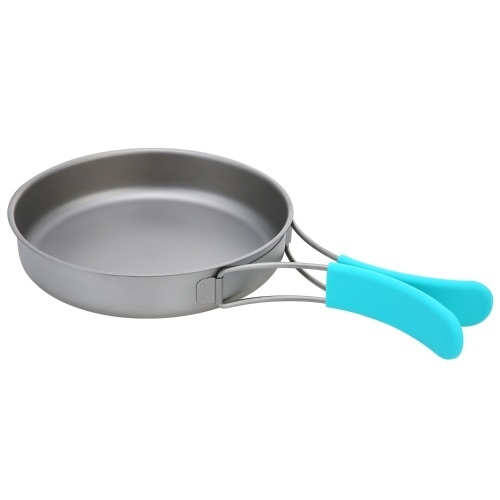 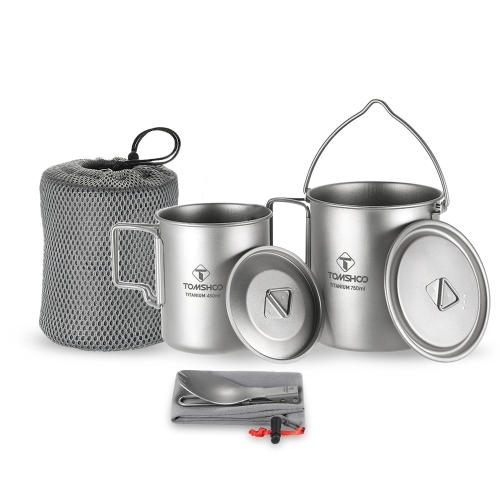 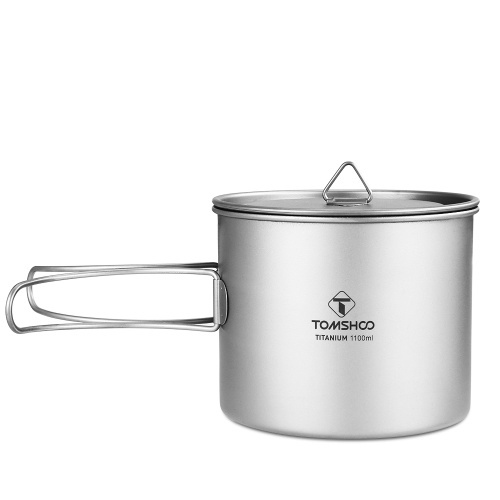 This is a 3-piece titanium set that includes a 750ml pot, 450ml cup and a spork. 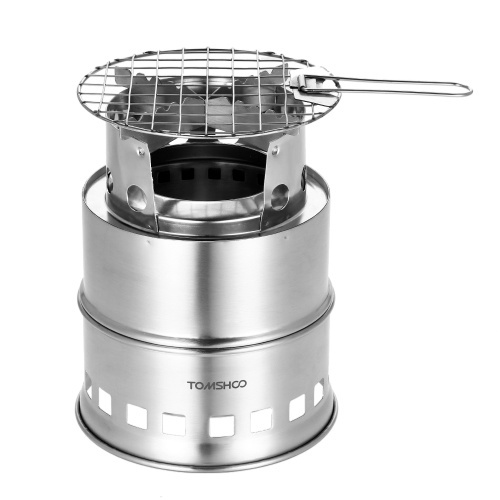 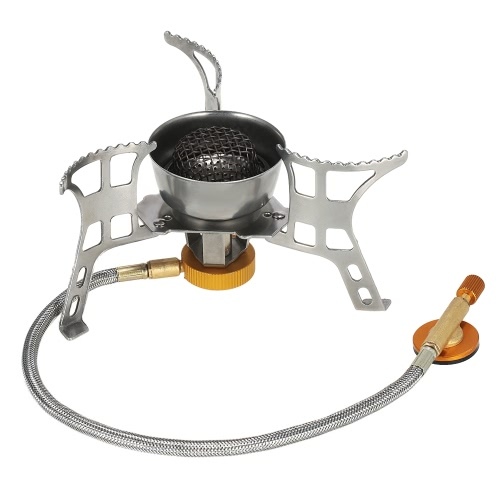 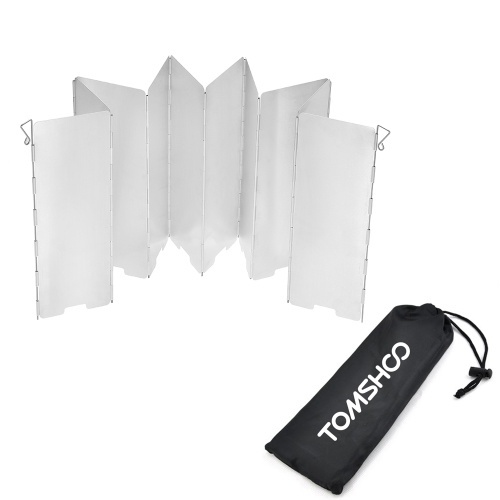 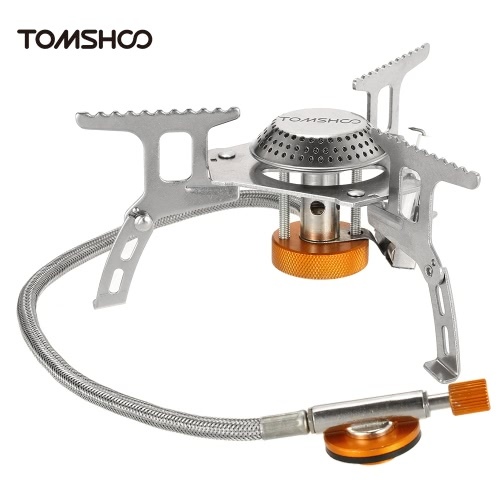 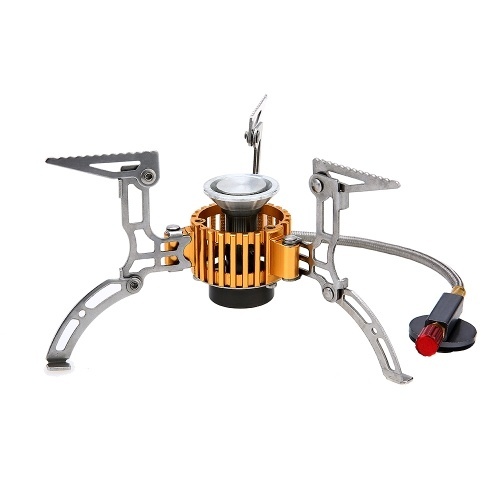 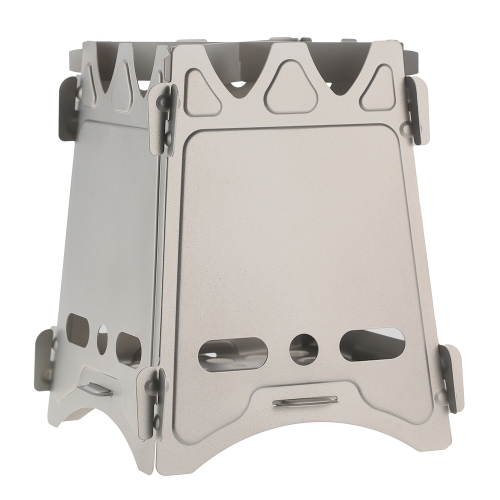 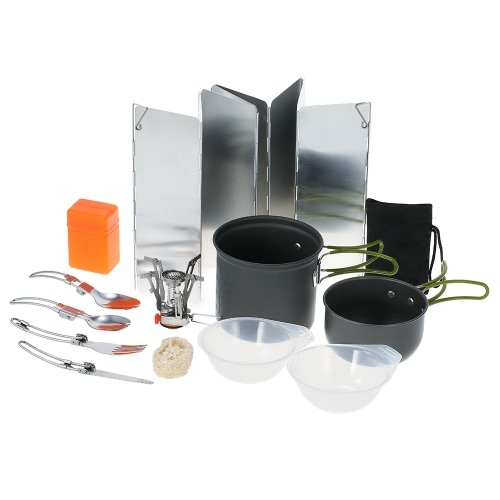 The full kit is made of durable titanium, lightweight and corrosion-resistant. Pack the whole kit in the included storage sack and stuff in your backpack, your trip will be more convenient and enjoyable. 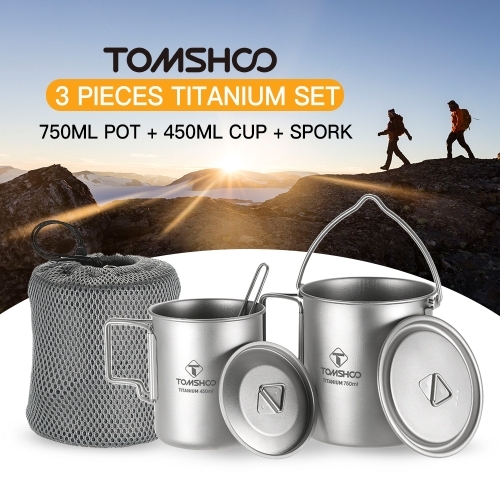 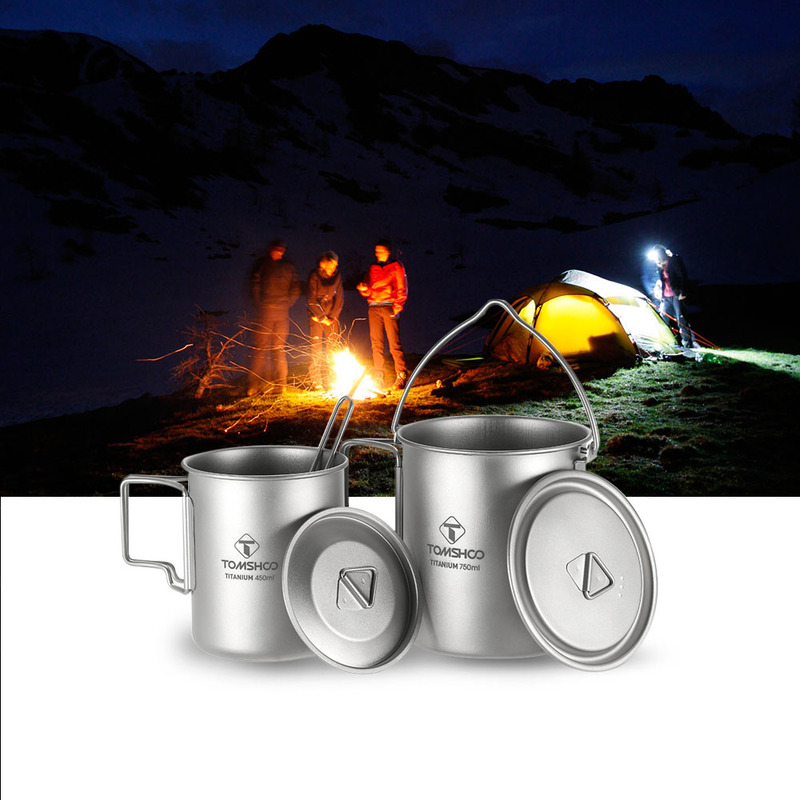 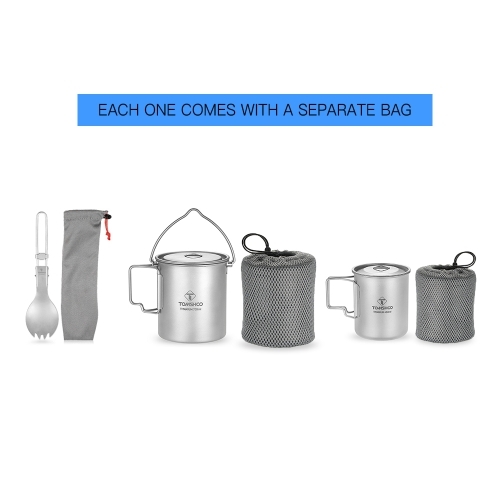 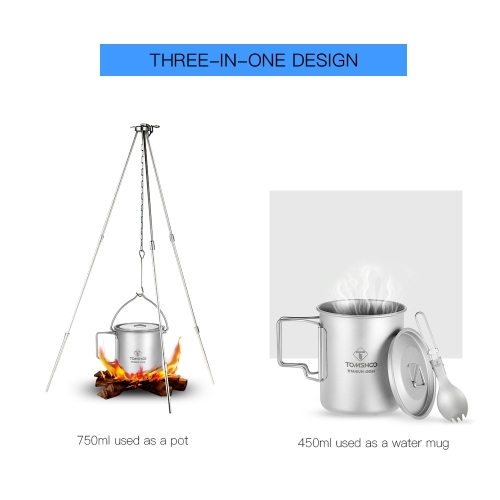 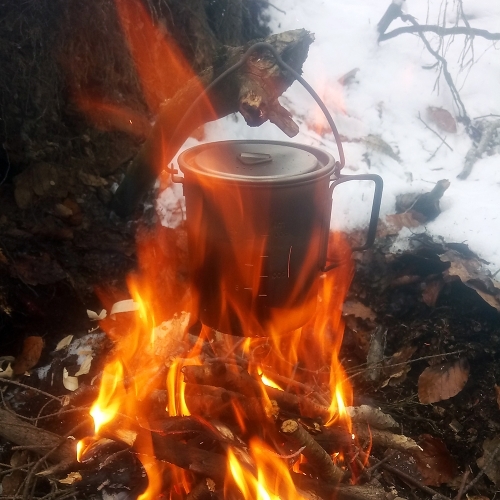 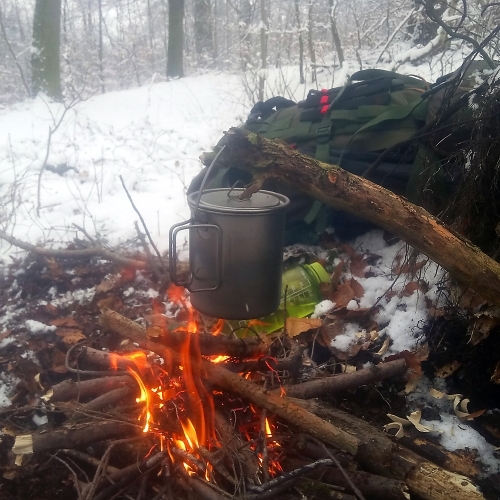 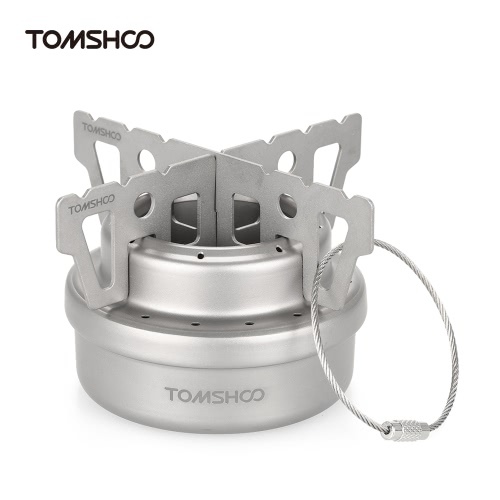 3 Pieces Set: Full titanium set includes a 750ml pot, 450ml cup and a folding spork, great for camping, hiking, backpacking, outdoor adventure and survival. 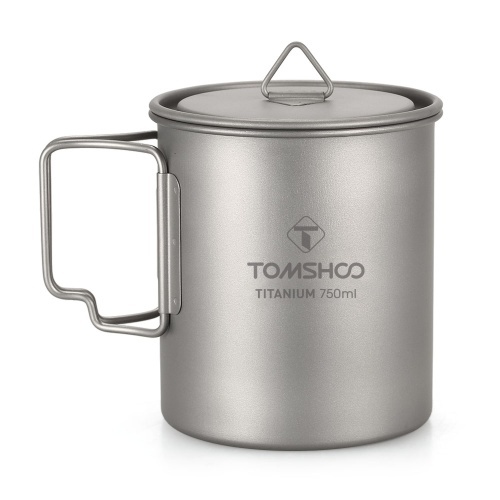 Lightweight and Durable: Lightweight titanium construction is corrosion-resistant and lasts for years. 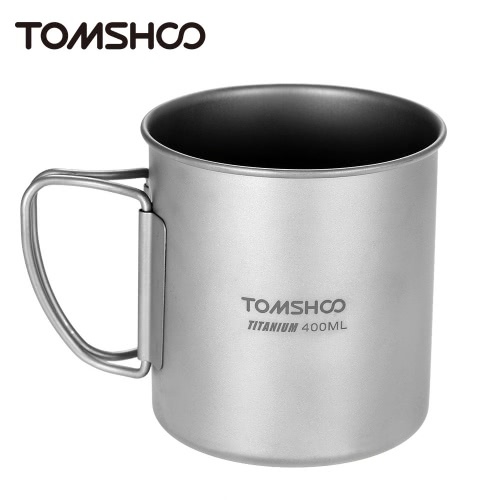 It imparts no taste and odor on food or beverage. Efficient Heating: With a lid to prevent heat loss. 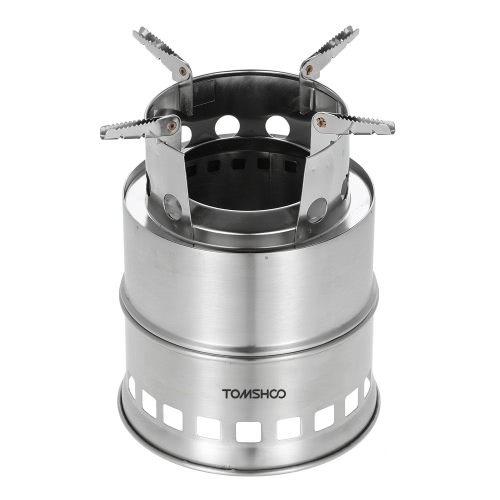 Round edges for easy cleaning and improved heating efficiency. 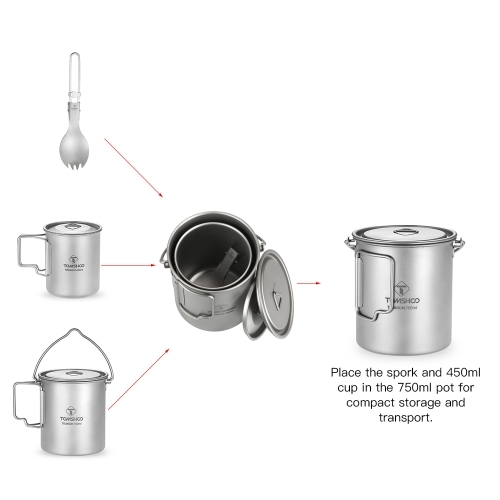 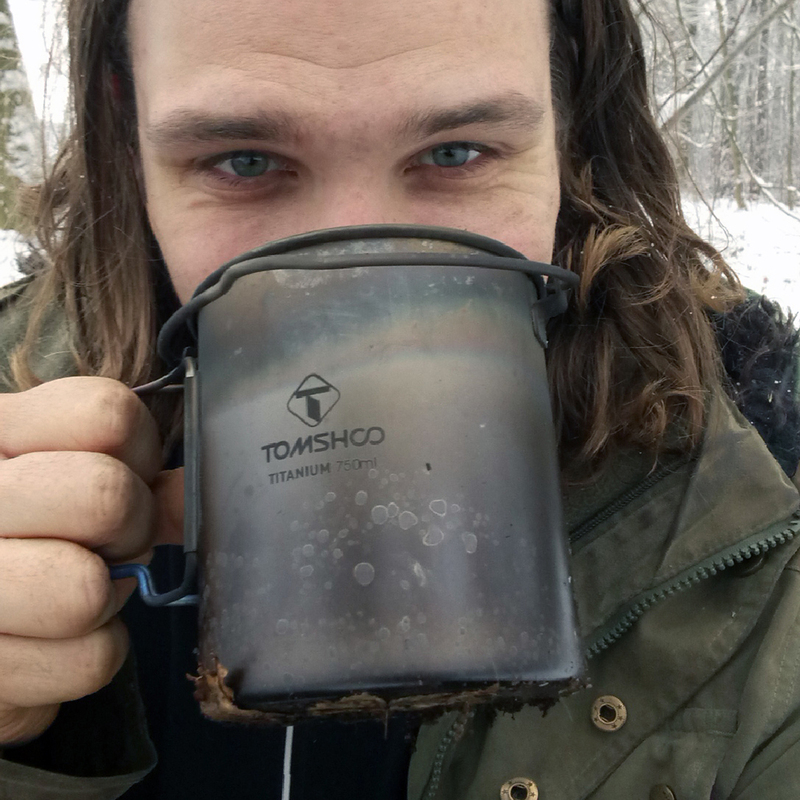 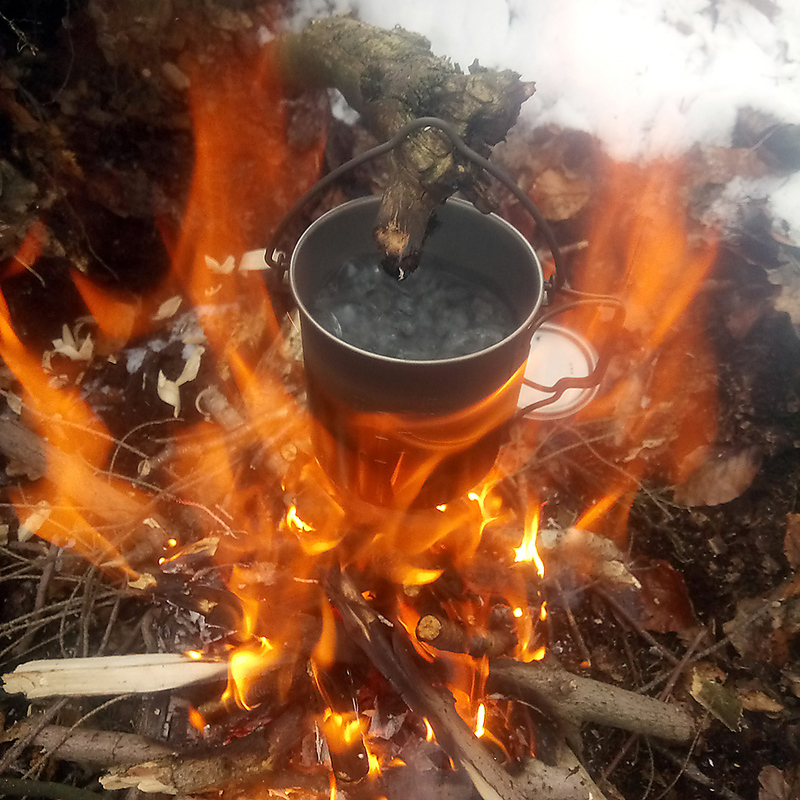 User-friendly: The pot is marked with gradation in oz and ml. 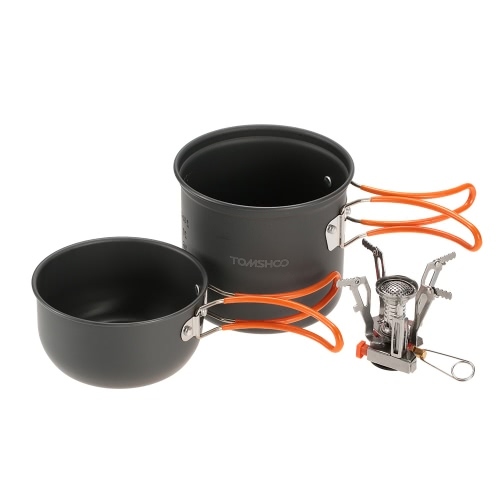 Collapsible handles for convenient use and storage. 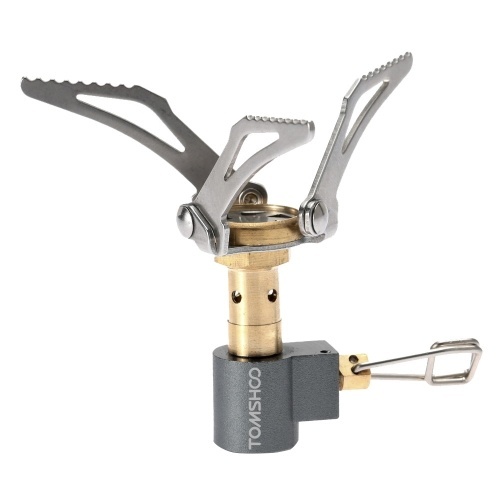 Movable bar on the spork to lock its handle open. 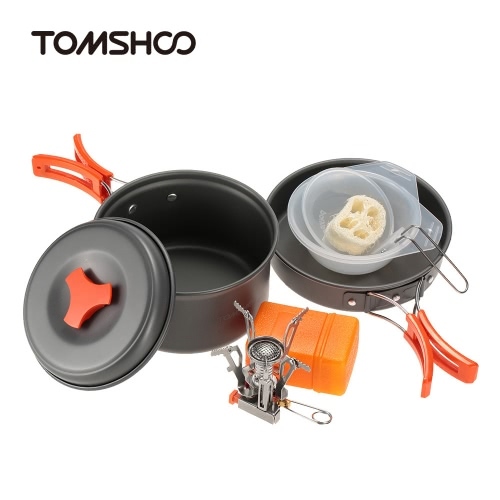 Convenient: Each part is well packed in a storage sack and nested inside the pot for compact storage, convenient to carry wherever you go.